A local woman is taking up a big challenge and all for a good cause. 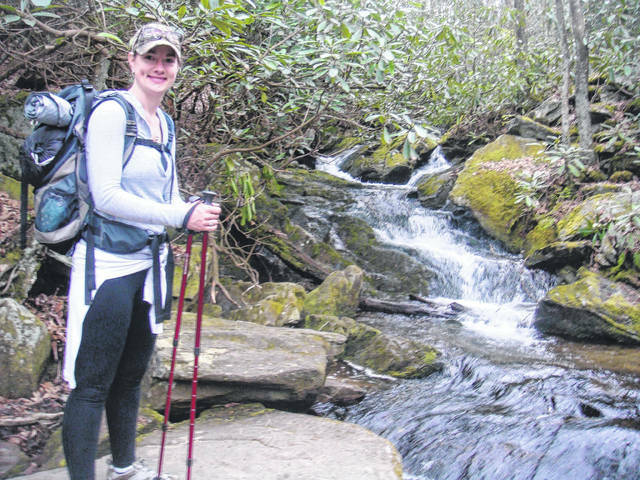 Jessica Wall of East Bend will be completing a nearly 30-mile hike as part of a unique fundraiser for the Make-A-Wish Foundation called the Trailblaze Challenge. On June 1, Wall will hike 28.3 miles on the Foothills Trail in Cashiers. 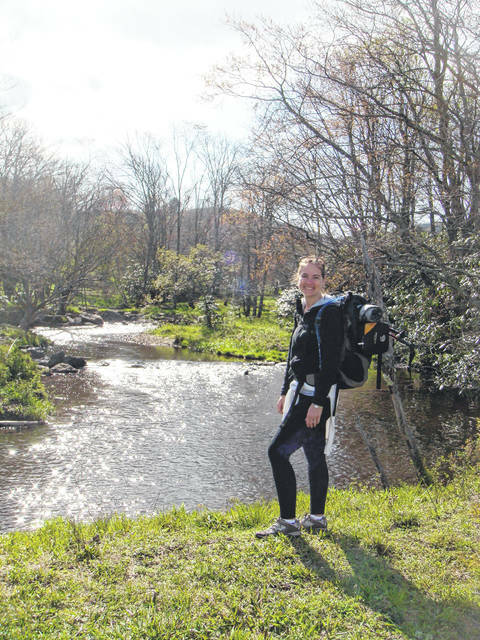 She said she has always enjoyed taking on physical challenges, and when she first saw the Make-A-Wish hike fundraiser last year, she decided to learn more. “I like trying new things and pushing myself, and when I learned that I could do that and give back to my community, I was totally hooked,” Wall said. Wall is no stranger to physical challenges, she trained and ran a half marathon in January 2018. “I am a lot more confident in my ability to hike than run,” Wall said. “My husband and I have done some small-scale day-hiking, so the distance is really the new challenge. In addition to the lengthy hike, which will be completed in just one day, Wall also	will be raising $2,500 for Make-A-Wish. Wall and others taking part in the challenge will begin at the trail head on June 1 at around 5 a.m.
“I’m hoping to finish my hike in 12 to 13 hours. There are a lot of people that sign up to do the challenge, so there will be plenty of people on the trail with me,” she said. The funds raised will benefit Make-A-Wish of Northwest North Carolina and funds raised will benefit children in this region. To learn more about Wall’s journey, visit http://site.wish.org/goto/jessicawall or email jessiecaowenswall@gmail.com. Donations are tax deductible and the donor will be emailed a receipt. Jessica Wall trains for the Trailblaze Challenge to benefit the Make-A-Wish Foundation. Jessica Wall prepares for a 28.3-mile hike along with raising $2,500 for the Make-A-Wish Foundation.